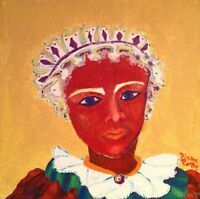 Using a doll as a stepping stone I improvised this painting. This is from the same doll that was used in the previous post. This week it seems to be all about bringing the queen out that is within. We all have a life that we lead. Why not bring out the best in us as though we are the regents of our own lives. I’ve designated the year 2015 to be the time I explore making drawings and paintings utilizing my doll collection and imagination. This week one doll has created a theme of Queens. Each painting is a different take on a portrait using a doll that seems to be in aFrench maid’s uniform from one or two centuries ago. 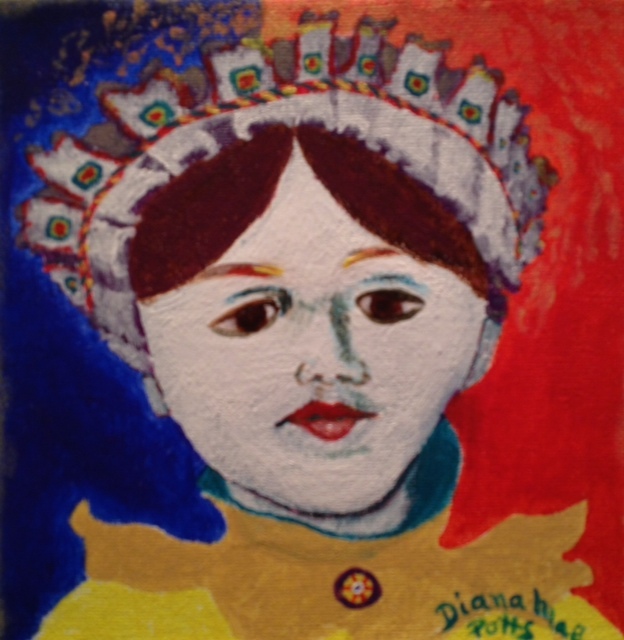 6″ x 6″ x 1 1/2″; acrylic on gallery wrapped canvas; January 6, 2015; Diana Mae Potts.